Will Kamala Harris join the Democrats to seek a presidential nomination? 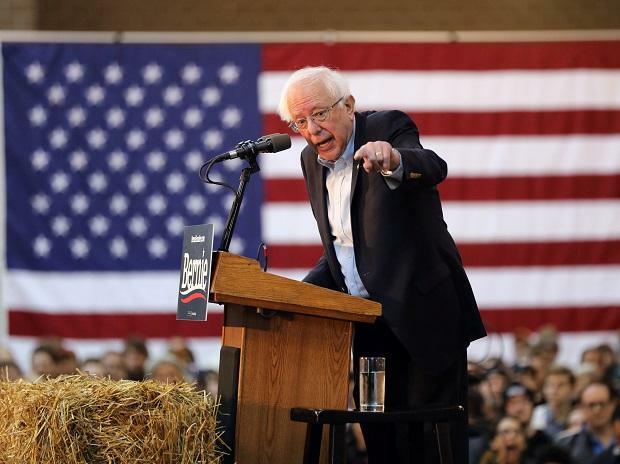 Former vice president Joe Biden and Senator Bernie Sanders of Vermont lead the field of prospective and declared 2020 Democratic presidential candidates in an Iowa Poll of voters likely to participate in the first nominating contest 11 months from now. Biden, who is still trying to decide whether he wants to run for a third time, has the support of 27 per cent of likely participants in the Iowa caucuses. He’s closely followed by Sanders, who unsuccessfully ran for the nomination against Hillary Clinton in 2016, at 25 per cent. The early polling, sponsored by the Des Moines Register, CNN and Mediacom, is as much about name recognition as anything. Still, it shows that lesser-known candidates have considerable work to still do if they want to compete with Biden and Sanders. Senator Elizabeth Warren of Massachusetts, who like Sanders represents the most progressive wing of the party, drew the support of 9 per cent. She’s followed by Senator Kamala Harris of California at 7 per cent. Beto O’Rourke, the former US House member who gained a national following during his unsuccessful 2018 bid for the Senate in Texas, received support from 5 per cent. He’s yet to join the race, but is believed to be close to doing so. Two other senators, Cory Booker of New Jersey and Amy Klobuchar of Minnesota, each received support from 3 per cent in the poll. The survey tested a total of 20 declared and prospective candidates and all others registered at 1 per cent or less. The caucuses are scheduled to be held Feb. 3, 2020. The quaint and quirky tradition will play out in school gymnasiums, fire stations, community centers, and other meeting places in nearly 1,700 precincts. The survey, conducted March 3-6 by Selzer & Co. of West Des Moines, Iowa, included 401 likely Democratic caucus participants. It has a margin of error of plus or minus 4.9 percentage points on the full sample, larger on subgroups.